Safety Week 2017 was in full swing the week ending May 5 with more than 60 construction companies and program sponsors across Canada and the U.S. staging events to promote safety awareness, culture, and leadership. Walsh Canada promoted Safety Week on all fronts, with a program of daily activities on all of its project sites and head office. “Further reinforcing Walsh’s commitment to safety was a special visit by Walsh Group senior leadership that included co-chairman Daniel Walsh, president Sean Walsh, building division president Mike Whelan, and building division vice-president Dan Regan visiting from Chicago to attend Walsh’s events (in Ontario) on Monday and Tuesday,” Walsh reported in a news release. The company kicked off Safety Week with a breakfast event at its Etobicoke General Hospital Phase 1 Patient Tower site attended by more than 180 people, including dignitaries from William Osler Health System, Ministry of Labour (MOL), Ontario General Contractors Association (OGCA), Infrastructure Ontario (IO), Council of Construction Associations, Humber College, Hamilton-Halton Construction Association and the Toronto Construction Association. 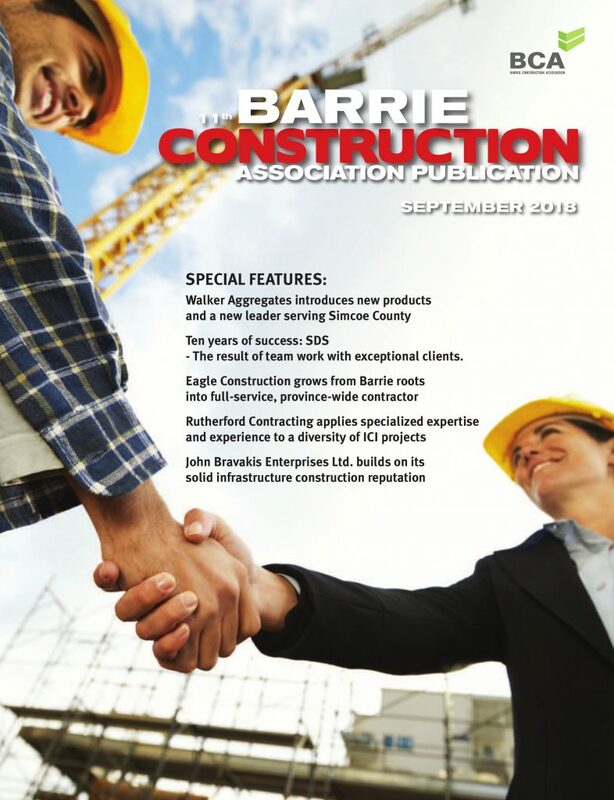 Representatives from competitor Bird Construction, working on the neighbouring site, also attended as Walsh Canada vice-president Craig Lesurf maintains that safety is not proprietary. 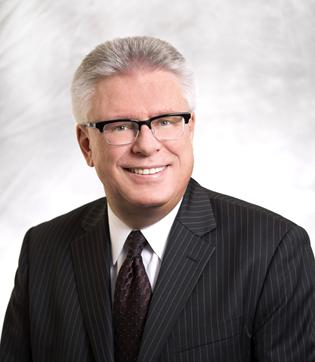 The event featured speeches from Lesurf, Ontario labour minister Kevin Flynn, William Osler Health System vice-president Ann Ford, IO senior vice-president Lawrence Quinn, and Rob Ellis from League of Champions and MySafeWork. Rob Ellis shared the story with the audience about the loss of his teenage son to a workplace accident 18 years ago and stressed the importance of workers looking out for one another and holding their employers accountable for providing a safe work environment. A few hours later, there was a lunch event at its Borden Enterprise Data Centre site at CFB Borden, with over 125 in attendance including dignitaries from the Canadian Armed Forces, Defence Construction Canada, MOL, and Shared Services Canada. 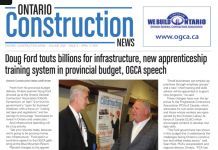 Words of encouragement were shared by Lesurf, CFB Borden Major Craig Crawley, Scott McRae, national health and safety co-ordinator at Defence Construction Canada, and Walsh Group co-chairman Daniel Walsh. Maj. Crawley shared his construction safety experiences from working abroad with the Canadian Armed Forces and congratulated the project team for achieving zero lost time injuries on the project to date. On Tuesday, there was a southern-style barbecue lunch at the Ashbridges Bay Treatment Plant. City of Toronto dignitaries were among the 220 in attendance while Lesurf, senior project manager Rick Hirschegger, and president Sean Walsh speaking offering words of inspiration on behalf of the Walsh Group. The event also included special guest speaker Bill Whelan, who shared his story of how a major workplace accident 18 years ago changed his life and he encouraged workers in attendance to be more vigilant in identifying hazards in their work environment and making sure they have the training and tools needed to do their jobs safely. Wednesday’s signature event was a lunch held at Credit Valley Hospital with more than 185 in attendance, including dignitaries from IO, Trillium Health Partners, City of Mississauga, and OGCA. The event featured speeches from Lesurf and IO senior vice-president Lawrence Quinn. On the stage Walsh also presented a green hardhat to labourer Joseph Baba, as part of Walsh’s Yellow Hardhat program, which requires new young workers to wear yellow hardhats so they can be easily identified by other workers on site and monitored more closely to reinforce safe work habits. Baba achieved the requisite 12 weeks of safe work and associated training to graduate from the program. There was also a Wednesday breakfast at Humber Treatment Plant with more than 60 attendees, including dignitaries from the City of Toronto. Lesurf and senior project superintendent Ezzio DiVona congratulated workers on their safe work performance to date and encouraged them to look out for one another when working on site. Thursday’s activities were highlighted by a lunch event held at the TTC Pioneer Village Subway Station site with more than 300 people in attendance. 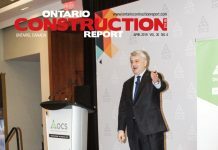 The event featured speeches by Lesurf, Toronto-York Spadina Subway Extension program manager Keith Sibley, and Infrastructure Health and Safety Association (IHSA) CEO and president Enzo Garritano. The week was concluded by a lunch and safety huddle held at Walsh Canada’s head office, with all employees invited to attend. All events involved co-promotion with the League of Champions, an OGCA initiative that recognizes organizations that demonstrate a commitment to safety leadership and culture. 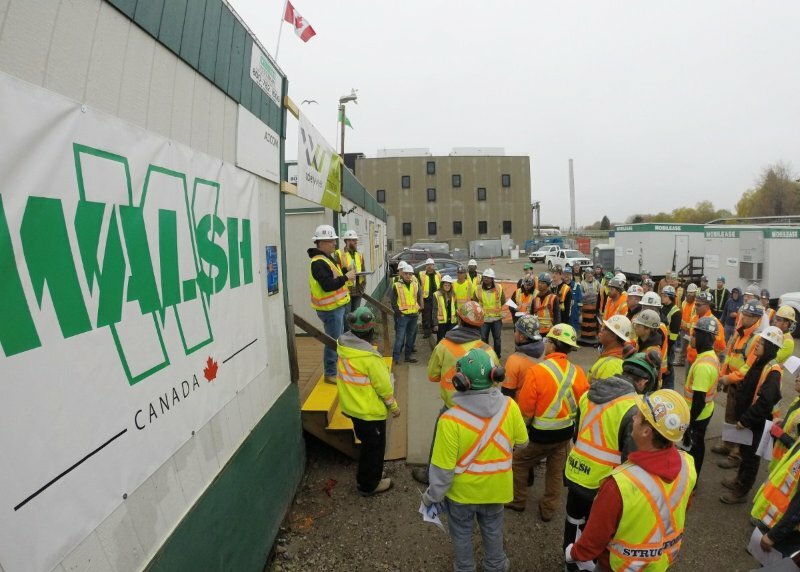 In addition to the events, Walsh Canada project sites staged activities throughout every day of the week that included contests, safety stand downs, safety drills, as well as construction tool and product demonstrations. As an example, the Humber Treatment Plant project team organized an axe throwing contest for prizes, with proceeds donated to the Threads of Life, a non-profit organization with the goal of preventing future workplace tragedies by telling their stories and making sure everyone understands the importance of why workplace safety. The Pioneer Village Subway Station project team staged a mock rescue performed by the City of Vaughan Fire Department. Walsh Project co-ordinator Melaney Stanberry volunteered to be the “injured” subject while the Fire Department safely lifted Stanberry from the of the bus terminal roof and rappelled her down to the ground. The project site also staged a golf putting challenge with proceeds going to MySafeWork, a non-profit organization dedicated to educating young workers about workplace safety. A similar golf putting challenge was also held at the Ashbridges Bay Treatment Plan site. This year all Walsh site staff distributed Safety Week raffle tickets to workers on site when they observed safe behaviour as a form of positive reinforcement. The more a worker demonstrated safe behaviour, the more tickets they would receive to increase their chances of winning a prize. Another company-wide initiative included a photo contest where subcontractors and Walsh staff capture moments from Safety Week activities, with the best photos being rewarded. Safety Week 2017 concluded on Friday, May 5 and soon Lesurf and the Safety Week executive committee will begin planning to make next year’s event even more successful, the news release said.